Sometimes when we begin to meditate – and especially when our meditation practice takes off – we may feel that we are living a secret life. There’s the one where we get up in the morning, suit up to show up, grab our morning coffee, and begin our commute to work. We smile, shake hands, make conversation, do our daily business, and head home for the day. Exercise maybe, eat our dinner, and head to bed. Then there’s the one where we sit quietly and still in our room, let our mind go, and explore our connection with an infinitely deep and peaceful world that is always within us, but from the outside remains unseen. For Rodolfo Carrillo, the exploration of his “secret” inner life began at age 7, when his mother introduced him to meditation. He had fallen, and was experiencing some pain in his body. Until they could reach a doctor the next day to treat his injury, his mother told him to sit quietly, and together, they meditated, generating a healing energy. Despite broken bones in his foot, Rodolfo experienced only mild pain until he reached the doctor the next morning, who was in shock at his calm condition. Rodolfo began to practice meditation from that point forward, and devoured everything his mother shared with him about the subject and practice. Living in a uniformly Catholic Costa Rican culture, however, he kept his meditation life secret throughout his youth and young adulthood, all the while pursuing a fairly culturally traditional outer path – making grades, going to college, and starting a career in business. But as he began to work closely with family businesses, it became clear that his true life purpose would call for the merging of his inner and outer lives – and specifically, would require him to bring forth the understanding he had cultivated in his inner life to offer healing in the outer. He saw that the families he worked with needed to heal longstanding wounds and misunderstandings in order to move forward successfully with their mission. And he found himself, quite naturally, offering the understanding he had cultivated within himself about ego and consciousness to help them do this. 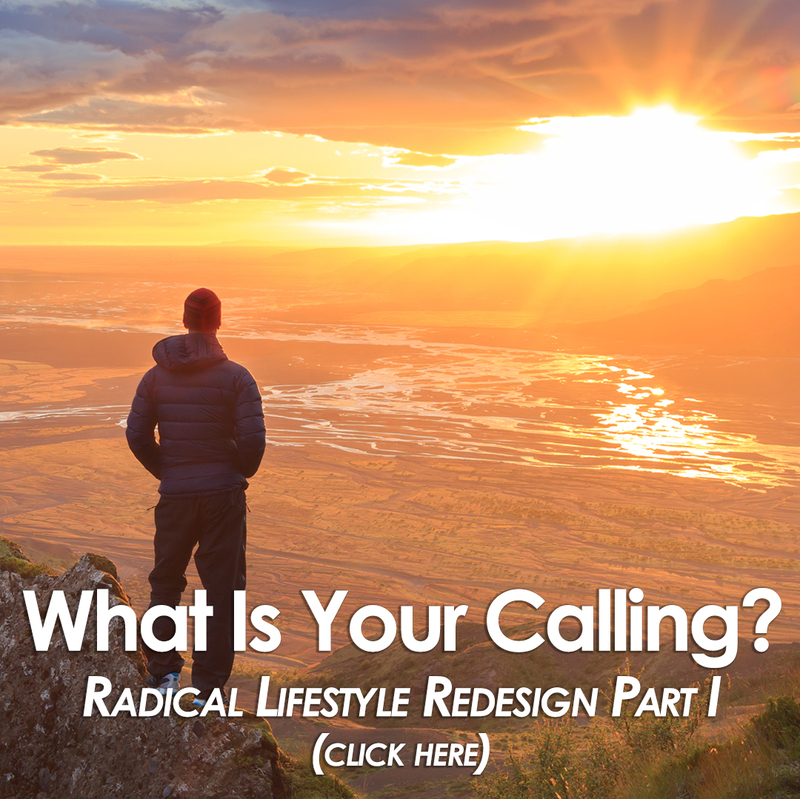 As he offered this work in his business life, his inner life expanded even further – and he started to experience unique healing abilities to name and clear energetic blockages for people in a matter of minutes. Specifically, he found that, in the presence of another person in pain, he could, within minutes see and name what was blocking them – typically an unresolved emotional wound from childhood – feel it in his hands like a hard ball of energy, name it for that person with near perfect accuracy, and then, help them remove it. He now works in one life with individuals to remove their blockages in this way, as he continues in his other life to heal family businesses. 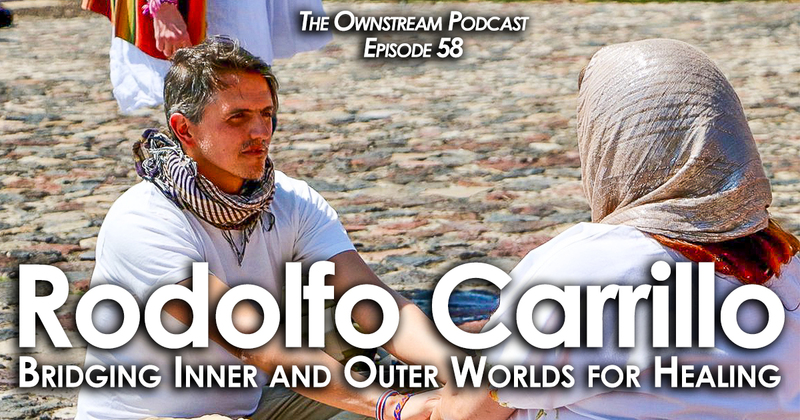 The bridging of his inner and outer lives is live and in progress for Rodolfo, who explains that he is still understanding how best to bring forth his inner gifts to maximize his contribution to healing in the world. What is evident from our conversation is that Rodolfo is a truly gifted, intuitive seer and healer – one who has tapped through his inner life into a higher power for healing than one typically known or experienced in our society today – a power, that when bridged effectively into our society, will be pivotal in healing the world. 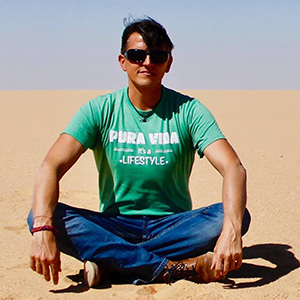 We are truly grateful that Rodolfo is walking his converging paths with consciousness, love, and devotion – working thoughtfully toward making the bridge – and we are honored to present his story on this week’s podcast.